Manhattan what to do and see ? The Big Apple. The city that never sleeps. 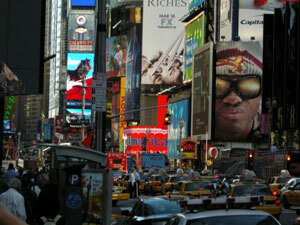 The financial, musical, shopping and art capital.....New York City must be one of most dynamic cities in the world. It's on 24/7 and you will be unable to see, live and enjoy everything in just a weekend. 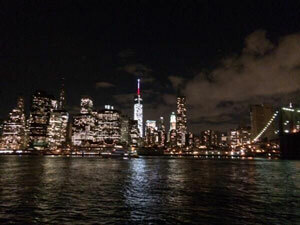 Just dive in for a few days and visit all the landmark icons, shop around, go to a theatre and enjoy the NYC nightlife. Most hotels on Manhattan are situated south of Central Park between 28th and 59th Street.From there you can walk or go by underground to all the public attractions and neighborhoods, like the Empire State Building, Broadway, the Meat Packing Districs, SoHo, the Greenwhich gay area or Central Park.The Out in trendy gayborhood Hell's Kitchen is New York's own gay resort, right in the middle of all the action.Hotels in Brooklyn tend to be a little cheaper than on Manhattan. However, you would need to cross the river from and to Manhattan. Gay life is everywhere in New York City. Nightlife is vivid and overwhelming. You can choose from endless variations on gay bars and clubs: from muscle mary clubs to cabaret piano bars, local intimate bars to trendy gay lounges. Most bars are opened from 16h till 4h.On Manhattan the gay scene is concentrated in a couple of neighbourhoods.In Greenwhich Village lays the origin of gay pride, where the Stonewall riots in Christopher Street awakened gay emancipation. 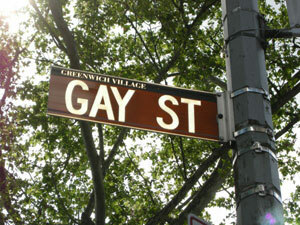 Hence the Christopher Street Days throughout the world. 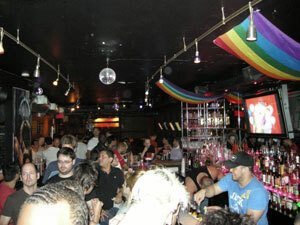 Thé new gay hot spot is Hell's Kitchen, full trendy gay bars, restaurants and clubs. Chelsea also offers a wide selection of gay venues concentrated around Eighth Avenue.Midtown NYC can be well spend for the bars between the Empire State Building and the MoMa on Eighth, Ninth and Tenth Avenue. New York is full of landmark icons we know from the movies and television. Of course you want to see the Statue of Liberty on Ellis Island. If you take the (free) ferry to Staten Island, you'll get a great view on the iconic landmark. Go up on the Empire State Building or Rockefeller Center. Check out the new Freedom Tower on Ground Zero. Shop at 5th Avenue or in Soho. Walk around Wall Street, the financial epicentre of the world. Or take a stroll through Central Park, the green lung of NYC.Of course you want to see a show on Broadway. It is so gay to see the biggest stars performing, either in a play or in a typical Broadway musical like Chicago, The Phantom of the Opera, Mary Poppins, Mamma Mia or one of the other 45 musicals or 30 plays!On Broadway.com you can order online tickets for most of the shows. And after the show, you pop into one of the gay bars in Chelsea, a few blocks west of Broadway and Time Square. New York City has some of the biggest and best museums in the world. 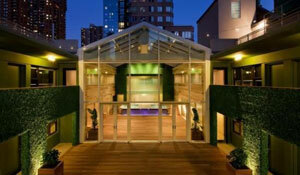 Most famous are the Museum of Modern Art, also know as MoMa and the Metropolitan Museum of Art. 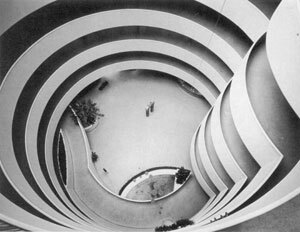 Also famous, and not only for its design by Frank Lloyd Wright, is the Guggenheim Museum, near Central Park. Or check out one of many design & art galleries for some new piece at home. Check out our New York City interactive gay map with all the main gay bars, clubs, saunas and parties. And see which hotel is a convenient distance for you.